Below are a list of basics that every energy worker should practice and know. Here are some visualizations for each one that work for me. You may have to adjust/change them to determine which visualization works best for you. Centering is the process of aligning your energy along the center of your body via the main chakra points. Chakra points are the focal points of your body’s energy. 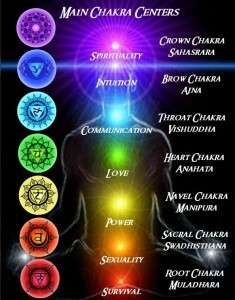 These points include the 3rd eye, throat, heart, stomach, and genital chakras. There will be times that your energy will become unbalanced and unfocused, causing the need for you to center yourself. Focus is the key to becoming stronger in your abilities. Without focus, one does not achieve progress. a. Find a place where you can relax, preferably someplace quiet. b. Sit or lay in a comfortable position. c. Close your eyes and take a deep breath through your nose slowly for 4 seconds, then exhale through your mouth slowly for 8 seconds. Repeat this 1-2 more times until you feel relaxed. d. Keeping your eyes closed, visualize your energy as broken up into marbles. Begin slowly pulling those marbles toward the center of your body. Keep pulling until the marbles begin aligning themselves and flow down the center of your body. Once you’ve pulled all the marbles to the center of your body, you have centered yourself. e. Now open your eyes. Filtering is the process of sifting through the energy you pull into yourself, and drawing out only that which is positive and nourishing to your body, and expelling all that is negative. a. First, visualize the energy you are about to take in, as a particular color, for example. Sometimes that helps in aiding the visualization. 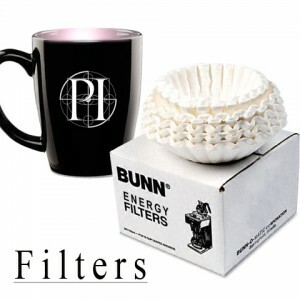 b. Visualize a filter, such as a wire screen that has very tiny openings in it in which only a pinhead would fit. Next, visualize that filter in front of you. Focus on the source of the energy you are about to take into you. c. Begin pulling that energy toward you, visualizing it passing through the filter you just created, then moving into you. Focus on that filter, taking away everything negative, blocking the negativity from you, only allowing the positive energy to pass through the filter. d. Once you are finished taking the energy you need, visualize the filter twisting and wrapping itself around the negative energy it blocked from you, covering it until it forms a ball. Toss the wired ball away from you, visualizing it going into something, such as a trashcan.